Turner Law Offices, P.C. 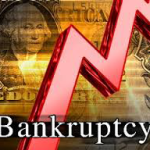 offers a free initial Bankruptcy consultation for all new clients. Financial struggles can be overwhelming with the collection calls and wage garnishments. We would like for you to know one thing, “YOU have OPTIONS!” There are many benefits to filing bankruptcy. Bankruptcy lets people get out from under oppressive debts and lets them begin rebuilding their financial situation. Keep you piece of mind. STOP Collection Calls. Your quality of life is deminished by the stress of piles of Debt. Thousands of Turner Law Offices clients have found relief from the options in Bankruptcy. A Free in-person consultation is the best way to communicate the complex financial maze. Take the First step with a Free Debt Relief Consultation!